“Effective immediately, Mr. Randy Kerr has been removed as the UCP’s candidate in the constituency of Calgary-Beddington. “To be clear, the Party is not making any allegations against Mr. Kerr regarding the legitimacy of his contribution to the Callaway Leadership, not against Mr. Callaway or his Campaign. This is not the Party’s rule to judge, and the Party does not in any way oversee financial contributions to leadership campaigns. “However, it is our conclusion that Mr. Kerr was not sufficiently forthcoming with the Party’s earlier inquiries, and for that, he has been removed as a candidate. “The Party has also proactively provided this new information to the appropriate office – that of the Elections Commissioner. Given that the matter is now with the Commissioner, it is inappropriate for us to comment further. Kerr’s removal as a candidate comes on the same day it was revealed a lawyer representing the UCP sent a cease and desist letter to Independent MLA Prab Gill, who has been at the forefront of accusations of misconduct and alleged illegal activities that took place during the UCP leadership contest in 2017. Earlier this week, UCP staffer posted a creepy video online of Gill meeting with an NDP staffer in an apparent attempt to discredit him. Kenney later accused the NDP of “working in secret” and “conspiring” with Gill to attack the UCP. The Elections Commissioner is said to be investigating allegations that UCP leadership candidate Jeff Callaway was running a “kamikaze mission” backed by Kenney’s campaign in order to damage the chances of former Wildrose Party leader Brian Jean winning the vote. Harrington also announced that the UCP has appointed Josephine Pon as their candidate in this district. Pon had been defeated by Kerr in the August 2018 nomination contest. Alberta Party MLAs Greg Clark, Karen McPherson and Rick Fraser. Meanwhile, Karen McPherson, one of three Alberta Party MLAs in the Legislative Assembly, announced on social media today that she has decided against running for re-election when the provincial election is called. 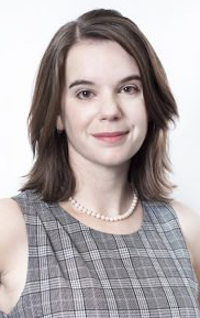 McPherson had already been nominated to run as the Alberta Party candidate in Calgary-Beddington, which replaces much of her the Calgary-Mackay-Nose Hill district she currently represents. She was first elected as an New Democratic Party MLA in 2015 in, unseating Progressive Conservative MLA Neil Brown, and left the NDP in 2017 to sit as an Independent and later joined the Alberta Party caucus. The NDP have nominated Amanda Chapman as its candidate in Calgary-Beddington. The Alberta Party has announced two new nominated candidates: Wayne Rufiange in Athabasca-Barrhead-Westlock and Jason Beekman in Taber-Warner. Rufiange recently sought the Alberta Party nomination in Morinville-St. Albert, but was defeated by Neil Korotash. Rufiange is principal of R.F. Staples Secondary School in Westlock. The Liberals have nominated a handful of new candidates: Robin Macintosh in Calgary-Elbow, Michael Macdonald in Calgary-Klein, and Wilson McCutchan in Calgary-Lougheed. 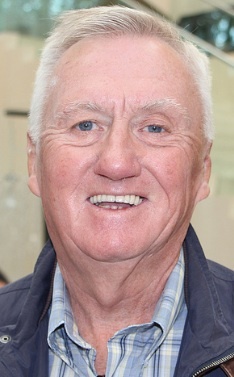 McCutchan was the Liberal Party candidate in Calgary-West in the 2012 election, where he earned 7.4 per cent of the vote. And Shirley Ksienski has replaced previously nominated candidate Rork Hilford in Calgary-Glenmore. The Green Party has announced Brian Deheer will be that party’s candidate in the new Fort McMurray-Lac La Biche district. Deheer was a candidate for the leadership of the party in 2017 and 2018, and in the 2015 election had the party’s strongest showing in Lac La Biche-St. Paul-Two Hills, where he earned 2.8 percent of the vote. He was the federal Green candidate in the 2014 Fort McMurray-Athabasca by-election and in Fort McMurray-Cold Lake during the 2015 federal general election. He most recently ran in the Fort McMurray-Conklin by-election, where he earned 0.72 percent of the vote. Four more candidates affiliated with the Alberta Independence Party have filed their papers to run as Independent candidates: John Morton in Edmonton-City Centre, Kenneth Morrice in Calgary-Hays, Todd Wayne in Edmonton-Castle Downs and Ben Maddison in Lethbridge-West. Currently operating as an unregistered political party, Alberta Independence Party will need 44 candidates approved by Elections Alberta in order to gain official party status in the upcoming election. This entry was posted in Alberta Politics and tagged Alberta Election 2019, Alberta Election Candidate Nominations, Alberta Independence Party, Alberta NDP, Alberta Party, Amanda Chapman, Athabasca-Barrhead-Westlock, Ben Maddison, Brian Deheer, Brian Jean, Calgary-Beddington, Calgary-Elbow, Calgary-Glenmore, Calgary-Hays, Calgary-Klein, Calgary-Lougheed, Calgary-Mackay-Nose Hill, Candidate nominations, Edmonton-Castle Downs, Edmonton-City Centre, Elections Commissioner, Fort McMurray-Lac La Biche, Greg Clark, Janice Harrington, Jason Beekman, Jason Kenney, Jeff Callaway, John Morton, Josephine Pon, Kamikaze mission, Karen McPherson, Kenneth Morrice, Lethbridge-West, Michael Macdonald, Neil Brown, Prab Gill, Randy Kerr, RCMP, Rick Fraser, Robin Macintosh, Rork Hilford, Shirley Ksienski, Taber-Warner, Todd Wayne, United Conservative Party, United Conservative Party Leadership Race 2017, Wayne Rufiange, Wildrose Party, Wilson Mccutchan on March 6, 2019 by Dave Cournoyer. New Democratic Party MLA Eric Rosendahl announced this week that he will not be running for re-election when the provincial election is called later this spring. Rosendahl was first elected as the MLA for West Yellowhead in 2015 and had previously announced that he would seek his party’s nomination for re-election in 2019. 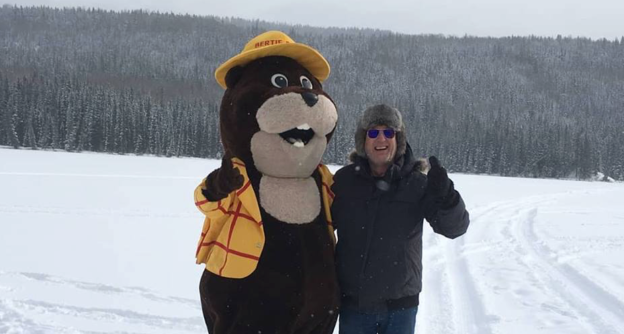 Rosendahl is the former president of the Hinton Fish & Game Association, Hinton Search and Rescue, and the Yellowhead District Labour Council. He surprised many political watchers when he unseated Progressive Conservative Finance Minister Robin Campbell in the last election. Rosendahl’s campaign spent $748, compared to $25,208 spent by Campbell’s campaign. While Rosendahl was not initially expected to win in 2015, the NDP does have a traditional voting base in the district, with a significant population of unionized workers employed by the provincial and federal governments, and by private employers at the numerous mills and mines in the region (Campbell had been president of United Mine Workers of America Local 1656 before he was elected in 2008 and is currently President of the Coal Association of Canada). Former Edson mayor Jerry Doyle represented West Yellowhead for the NDP from 1989 to 1993. Rosendahl gained some negative media attention earlier this year when a former member of his constituency office staff alleged he pressured her to do political work on government time. West Yellowhead will undergo significant changes when the 2019 is called and its boundaries will expand to include the town of Whitecourt. The NDP have scheduled a nomination meeting for March 9, 2019. Already nominated in this district are United Conservative Party candidate Martin Long, Alberta Party candidate Kirstie Gomuwka, and Liberal Party candidate Zack Seizmagraff. – Kate Andrews is the NDP candidate in Calgary-Acadia. Andrews is a lawyer with the Kahane Law Office and has experience in civil and commercial litigation. She is the chair of the Board of Directors for Closer to Home Community Services. – Lynn MacWilliam is the NDP candidate in the southern Alberta district of Brooks-Medicine Hat. MacWilliam serves on Bassano Town Council and ran for the provincial NDP in Strathmore-Brooks in 2015, earning 15 per cent of the vote, and for the federal NDP in Bow River in 2015, earned 5 per cent of the vote. She previously worked in Ottawa for former Burnaby-Douglas MP Bill Siksay. 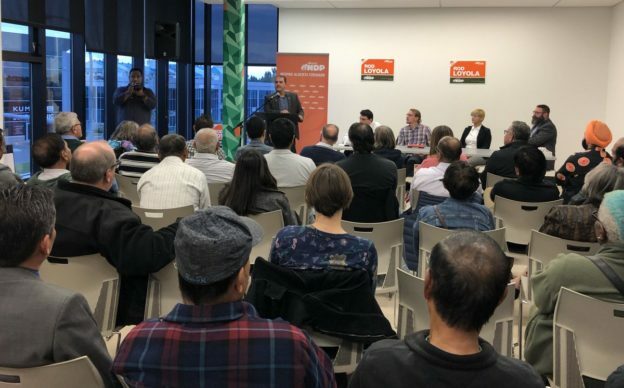 – Hafeez Chishti has been nominated as the NDP candidate in Calgary-North West. Dr. Chishti is a Professional Geologist/Geoscientist and is a member of the Board of Governors of the University of Calgary. The NDP have also nominated Julia Bietz in Calgary-Lougheed and Rebecca Bounsall in Calgary-Fish Creek. Rosa Evelia Baez Zamora will seek the NDP nomination in Airdrie-East on March 13, 2019, and the NDP will hold nomination meetings in Olds-Didsbury-Three Hills on March 11, 2019, and in Athabasca-Barrhead-Westlock and Grande Prairie-Wapiti on March 17, 2019. After being banned from running as a candidate in the next election because his campaign missed a deadline to file financial disclosure papers with Elections Alberta, Alberta Party leader Stephen Mandel‘s lawyers convinced a judge to overturn the ban and allow him to run in Edmonton-McClung when the next election is called. 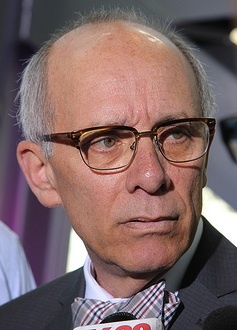 Mandel became leader of the party in 2018 and served as the PC MLA for Edmonton-Whitemud and Health Minister from 2014 to 2015 and mayor of Edmonton from 2004 to 2013. He was one of 7 Alberta Party candidates hit with this penalty. Six of the candidates, including Mandel, have now had their bans lifted. Edmonton-Meadows candidate Amrit Matharu remains on the banned list. Jasbir Dhari has been nominated as the Alberta Party candidate in Calgary-Falconridge. Michelle Robinson has been nominated as the Liberal Party candidate in Calgary-East. Robinson ran for Calgary City Council in 2017, placing fourth with 6.1 per cent of the vote . She was the first First Nations woman to run for city council in Calgary. The Liberals have nominated Dan Ejumabone in Calgary-West and Amy Yates in Taber-Warner. Clarie Wilde is seeking the Liberal Party nomination in Edmonton-Rutherford. Rio Aiello is the nominated Freedom Conservative Party candidate in Calgary-West. This entry was posted in Alberta Politics and tagged Airdrie-East, Alberta Election 2019, Alberta Election Candidate Nominations, Alberta Liberal Party, Alberta NDP, Alberta Party, Amrit Matharu, Amy Yates, Athabasca-Barrhead-Westlock, Bill Siksay, Bow River, Brooks-Medicine Hat, Burnaby-Douglas, Calgary-Acadia, Calgary-East, Calgary-Falconridge, Calgary-Fish Creek, Calgary-Lougheed, Calgary-North West, Calgary-West, Candidate nominations, Claire Wilde, Coal Association of Canada, Dan Ejumabone, Edmonton-McClung, Edmonton-Meadows, Edmonton-Rutherford, Edmonton-Whitemud, Eric Rosendahl, Freedom Conservative Party, Grande Prairie-Wapiti, Hafeez Chishti, Jasbir Dhari, Jerry Doyle, Julia Bietz, Kate Andrews, Kirstie Gomuwka, Lynn MacWilliam, Martin Long, Michelle Robinson, Olds-Didsbury-Three Hills, Rebecca Bounsall, Rio Aiello, Robin Campbell, Rosa Evelia Baez Zamora, Stephen Mandel, Strathmore-Brooks, Taber-Warner, United Conservative Party, United Mine Workers of America, West Yellowhead, Zack Seizmagraff on March 4, 2019 by Dave Cournoyer. Photo: Debbie Jabbour (centre) with Premier Rachel Notley (left) at an announcement in the Peace River district in 2016. Debbie Jabbour has been nominated as the New Democratic Party candidate in the sprawling northwest Alberta district of Peace River. Jabbour, who was first elected in 2015, fended off a nomination challenge from Justin Sharpe. She was first elected in 2015, earning 39.3 per cent, and previous to that worked as a provisional psychologist. She has served as Deputy Speaker and Chair of Committees in the Legislative Assembly since her election. Jabbour will face United Conservative Party candidate Daniel Williams, who worked as a political staffer for Jason Kenney in Ottawa before returning to Alberta to seek the UCP nomination, and Alberta Party candidate Dakota House, a Manning-born actor and motivational speaker known for his role on North of 60. Premier Rachel Notley will officially accept her party’s candidacy at a nomination meeting scheduled to take place on Sunday, March 17, 2019 in her Edmonton-Strathcona district. Notley was re-elected to serve a third-term as the MLA for this district in 2015 with 82 per cent of the vote. The meeting is expected to be more of a rally and campaign kick-off, with the Speech from the Throne taking place on March 18 and an election call expected shortly afterward. The NDP have also nominated Holly Heffernan in Drumheller-Stettler, Robyn O’Brien in Innisfail-Sylvan Lake, Jeff Ible in Rimbey-Rocky Mountain House-Sundre, Doug Hart in Lacombe-Ponoka, and Esther Tailfeathers in Cardston-Siksika. The UCP has acclaimed Kulshan Gill as that party’s candidate in Edmonton-Strathcona. Gill ran for the UCP nomination in the northeast district of Edmonton-Manning but was defeated by Harry Grewal. 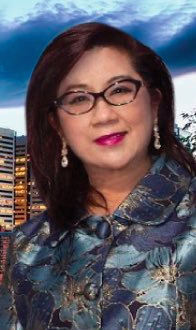 Real estate agent Jovita Mendita withdrew from the UCP contest in that district. The UCP has scheduled a nomination contest in Edmonton-Highlands-Norwood on March 21, 2019. despite initially having four candidates registered as interested in seeking the nomination, only two candidates remain: Leila Houle and Atul Ranade. Houle previously ran for the well-known-for-all-the-wrong-reasons UCP nomination in Edmonton-West Henday and was defeated by Nicole Williams. She previously ran as the federal Liberal candidate in the now-defunct Westlock-St. Paul district in 2008, finishing with 9.1 per cent in that vote. Renade registered intention to seek the UCP nomination in August 2018 after previously withdrawing from UCP nomination contests in Edmonton-Beverly-Clareview and Edmonton-South. Del Shupenia’s candidacy was not accepted by the party and George Lam and Michael Kalyn have withdrawn from the contest. Arundeep Sandhu broke his silence this week and spoke to CBC’s The Ledge podcast about his disappointment in Jason Kenney’s decision to appoint Len Rhodes as the UCP candidate in Edmonton-Meadows. Sandhu is considering running as an independent candidate or even for a different party. “I’m a conservative, but I don’t believe I can run for the UCP as long as this leadership and this leadership team is in there,” he told CBC. Three more Alberta Party candidates have had their 5-year bans on running as candidates waived by the Court of Queen’s Bench. Rachel Timmermans in Calgary-Lougheed, Tim Meech in Livingstone-Macleod, and Ali Haymour in Edmonton-Decore will appear on ballots in their respective districts in the upcoming election. The court has not yet waived the ban placed on party leader and former Edmonton mayor Stephen Mandel, who had been planning to run in Edmonton-McClung. Elections Alberta ruled in early February that seven Alberta Party candidates were ineligible to run after being late to file financial statements from their nomination contests. Danielle Klooster is the nominated Alberta Party candidate in Innisfail-Sylvan Lake. 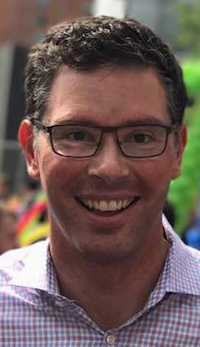 Klooster is a former town councillor from Penhold and ran for the Alberta Party in 2012 and 2015, earning 4.8 per cent and 6.1 per cent of the vote in those races. Hazelyn Williams is the Alberta Party candidate in Edmonton-Ellerslie. Williams in the third candidate to be nominated by the Alberta Party in Ellerslie during this election cycle, replacing previously nominated candidate Yash Sharma, who was removed after appearing at a controversial rally, and Richard Corbin, who withdrew for unexplained reasons. Jenn Roach has been nominated as the Green Party candidate in Leduc-Beamont. The Freedom Conservative Party has nominated Sheyne Espey in Calgary-Peigan, Jeff Rout in Leduc-Beaumont, and Clayton Knutson in Innisfail-Sylvan Lake. Wade Woywitka and Matthew Powell are competing for the FCP nomination in Vermilion-Lloydminster-Wainwright. Former Grande Prairie city councillor Kevin McLean has been nominated as the Liberal Party candidate in St. Albert. McLean served on Grande Praire City Council from 2010 to 2017 and ran for the Liberal Party in Grande Prairie-Smoky in the 2012 and 2015 elections, earning 4.8 per cent of the vote in each of those races. Two candidates affiliated with the unregistered Alberta Independence Party have filed papers to run as Independent candidates in the upcoming election: CW Alexander in Calgary-Klein and Monica Friesz in Calgary-Mountain View. This entry was posted in Alberta Politics and tagged Alberta Election 2019, Alberta Election Candidate Nominations, Alberta Independence Party, Alberta Liberal Party, Alberta NDP, Alberta Party, Ali Haymour, Arundeep Sandhu, Atul Renade, Calgary-Klein, Calgary-Lougheed, Calgary-Mountain View, Calgary-Peigan, Candidate nominations, Cardston-Siksika, Clayton Knutson, CW Alexander, Dakota House, Daniel Williams, Danielle Klooster, Debbie Jabber, Del Shupenia, Doug Hart, Drumheller-Stettler, Edmonton-Beverly-Clareview, Edmonton-Decore, Edmonton-Ellerslie, Edmonton-Highlands-Norwood, Edmonton-Manning, Edmonton-McClung, Edmonton-Meadows, Edmonton-South, Edmonton-Strathcona, Edmonton-West Henday, Esther Tailfeathers, Freedom Conservative Party, George Lam, Green Party of Alberta, Hazelyn Williams, Holly Heffernan, Innisfail-Sylvan Lake, Jason Kenney, Jeff Ible, Jeff Rout, Jenn Roach, Jovita Mendita, Justin Sharpe, Kevin McLean, Kulshan Gill, Lacombe-Ponoka, Leduc-Beaumont, Leila Houle, Len Rhodes, Livingstone-Macleod, Michael Kalyn, Monica Friesz, Nicole Williams, North of 60, Peace River, Rachel Notley, Rachel Timmermans, Richard Corbin, Rimbey-Rocky Mountain House-Sundre, Robyn O’Brien, Sheyne Espey, Soliders of Odin, St. Albert, Stephen Mandel, Tim Meech, United Conservative Party, Westlock-St. Paul, Yash Sharma on March 2, 2019 by Dave Cournoyer. 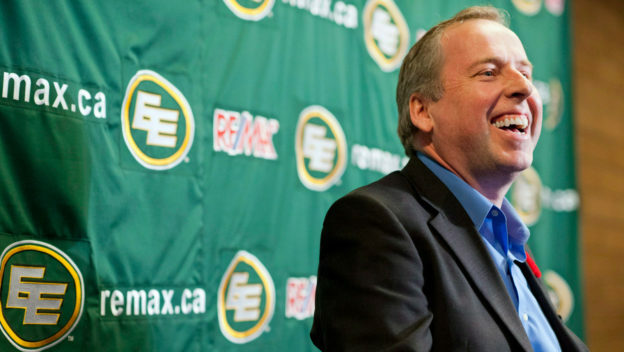 The rumour mill is churning at full speed with news that Len Rhodes, outgoing President and CEO of the Edmonton Eskimos, is on the verge of being appointed by Jason Kenney as the United Conservative Party candidate in Edmonton-Meadows. Rhodes’ appointment would bump three local nomination candidates, Joel Mullan, Arundeep Sandhu, and Sant Sharma, who have been campaigning for the UCP candidacy in the southeast Edmonton district for nearly a year. In particular, Sandhu, a young Edmontonian of Sikh heritage who mounted an energetic bid for City Council in 2016, has been campaigning hard for the nomination since May 2018. Rhodes recently completed a term a Chair of the Board of the Edmonton Chamber of Commerce and announced last week that he was stepping away from his senior executive role with the Canadian Football League team as of Feb. 20. It appears we will know soon if this is the reason why. With seven years as the top corporate executive of the Eskimos on his resume, Rhodes will certainly be described as a “star candidate,” which is something that has so far been absent from the UCP slate in NDP-leaning Edmonton. But his personal connections to the district, his own political views and understanding of local issues remains unclear. The area included in the Edmonton-Meadows district is currently represented by New Democratic Party MLA Denise Woollard, who was first elected in 2015 in Edmonton-Mill Creek. Woollard is being challenged for her party’s nomination by 2015 federal NDP candidate Jasvir Deol and Alberta Pashtoon Association president Chand Gul. 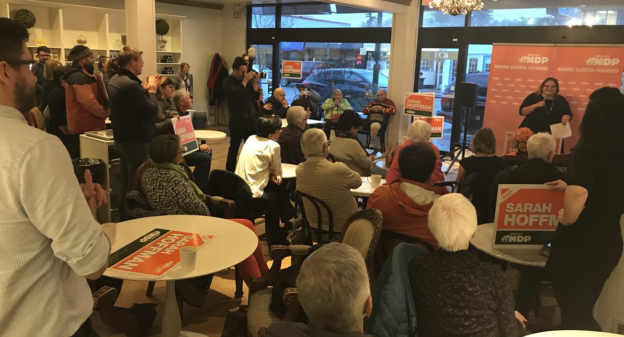 A nomination meeting for the NDP has been scheduled for Feb. 24, 2019. 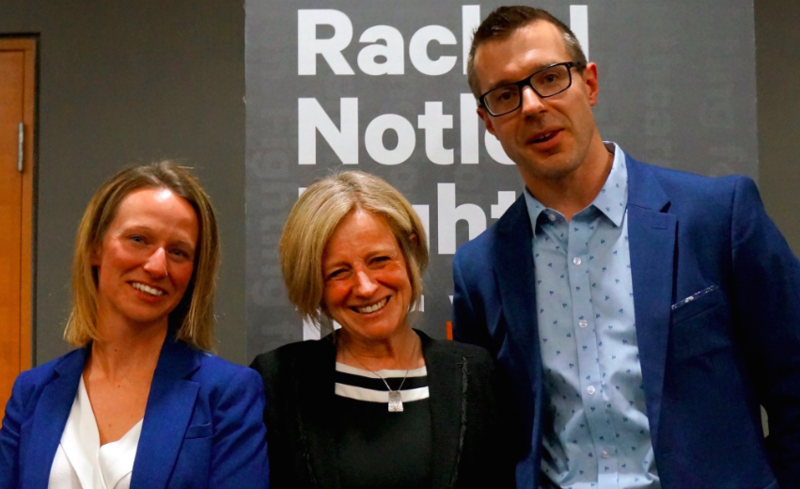 Rachel Notley (centre), with Grande Prairie NDP nomination candidates Melissa Byers and Todd Russell. Firefighter Captain Todd Russell defeated non-profit executive director Melissa Byers to secure the NDP nomination Grande Prairie on Feb. 19. The contested nomination meeting was attended by Premier Rachel Notley and Energy Minister Marg McCuaig-Boyd, who is running for re-election in the new neighbouring Central Peace-Notley district. Russell placed second in the Grande Prairie-Smoky district in the 2015 election, placing 334 votes behind then-Wildrose candidate Todd Loewen. Loewen is seeking re-election in the neighbouring district against McCuaig-Boyd. The Alberta Firefighters Association has endorsed Notley and been actively campaigning for NDP candidates across the province. AFA President Craig Macdonald gave a rousing speech at the NDP convention in October 2018 praising the Notley government for introducing new workplace health and safety rules to protect firefighters and first responders. NDP MLA Chris Nielsen was nominated as the NDP candidate in Edmonton-Decore and MLA Kim Schreiner has been nominated in Red Deer-North. Wood Buffalo municipal councillor Jane Stroud has been nominated as the NDP candidate in Fort McMurray-Lac La Biche district and Fort McMurray Public Schools trustee Stephen Drover has been nominated as the NDP candidate in Fort McMurray-Wood Buffalo. Cesar Cala has been nominated as the NDP candidate in Calgary-East. The NDP announced a series of upcoming nomination meetings, with Robyn O’Brien seeking the nomination in Innisfail-Sylvan Lake on February 27, Kate Andrews seeking the nomination in Calgary-Acadia on March 1, Julia Bietz seeking the NDP nomination in Calgary-Lougheed on March 2, Rebecca Bounsall seeking the nomination in Calgary-Fish Creek and Hafeez Chishti is seeking the NDP nomination in Calgary-North West on March 3. The NDP have also scheduled nomination meetings in Calgary-South East, Drumheller-Stettler, Rimbey-Rocky Mountain House-Sundre, and Vermilion-Lloydminster-Wainwright on February 28, 2019, and in Brooks-Medicine Hat on March 2, 2019.
has been nominated as the Alberta Party candidate in Cypress-Medicine Hat. It appears as though Tim Meech, the Alberta Party candidate in Livingstone-Macleod, and his CFO Mark Taylor, who is the executive director of the Alberta Party, have been added to Elections Alberta’s now infamous list of people ineligible to serve as candidates or CFOs. Taylor is also serving as CFO for Red Deer-North candidate Paul Hardy and 4 Alberta Party constituency associations. This entry was posted in Alberta Politics and tagged Alberta Election 2019, Alberta Election Candidate Nominations, Alberta Firefighters Association, Alberta NDP, Alberta Party, Arundeep Sandhu, Brooks-Medicine Hat, Calgary-Acadia, Calgary-East, Calgary-Lougheed, Calgary-North West, Calgary-South East, Canadian Football League, Candidate nominations, Cesar Cela, Chand Gul, Chris Nielsen, Colette Smithers, Craig Macdonald, Cypress-Medicine Hat, Denise Woollard, Drumheller-Stettler, Edmonton Eskimos, Edmonton-Decore, Edmonton-Meadows, Fort McMurray-Lac La Biche, Fort McMurray-Wood Buffalo, Grande Prairie, Grande Prairie-Smoky, Hafeez Chishti, Innisfail-Sylvan Lake, Jane Stroud, Jason Kenney, Jasvir Deol, Joel Mullan, Julia Bietz, Kate Andrews, Kim Schreiner, Laila Goodridge, Len Rhodes, Livingstone-Macleod, Marg McCuaig Boyd, Mark Taylor, Melissa Byers, Paul Hardy, Rachel Notley, Rebecca Bounsall, Red Deer-North, Rimbey-Rocky Mountain House-Sundre, Robyn O’Brien, Sant Sharma, Stephen Drover, Tim Meech, Todd Loewen, Todd Russell, United Conservative Party, Vermilion-Lloydminster-Wainwright on February 21, 2019 by Dave Cournoyer. The New Democratic Party has recently nominated ministerial press secretary and former CBC reporter John Archer in Edmonton-South West, retired teacher and political columnist Peter Mueller in Cypress-Medicine Hat and Gulshan Akter in Calgary-West. The NDP has also announced additional series nomination meetings. – Laura Ross-Giroux will seek the NDP nomination in Taber-Warner at a candidate selection meeting on Feb. 23, 2019. Ross-Giroux was elected as a town councillor in Taber from 2013 to 2017 and served as President of the Alberta Library Trustees Association from 2014 to 2018 and chairperson of the Chinook Arch Regional Library System from 2010 to 2017. – NDP MLA Eric Rosendahl is seeking his party’s nomination in West Yellowhead at a candidate selection meeting scheduled for Feb. 24, 2019. Rosendahl was first elected in 2015 with 39 percent of the vote and, if nominated, will seek re-election in a district that has been drastically enlarged to include the area surrounding the Town of Whitecourt. 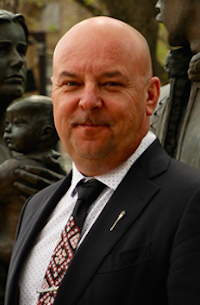 – Doug Hart, a Registered Nurse from Ponoka, will seek the NDP nomination in Lacombe-Ponoka. Hart was the NDP candidate in this district in 2012 and in 2015, when he earned 30.1 percent of the vote. 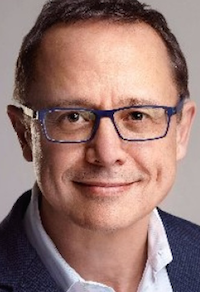 He also ran for the NDP in the Ponoka-Rimbey district in the 1989 and 1993 election and against Conservative MP Blaine Calkins in Red Deer-Lacombe in the 2015 federal election. A nomination meeting has been scheduled for Feb. 27, 2019. – Justin Sharpe will seek the NDP nomination in Peace River at a meeting scheduled for Feb. 28, 2019. The district is currently represented by NDP MLA Debbie Jabbour, who has not yet announced whether she plans to seek re-election. A nomination meeting has been scheduled by the NDP in Cardston-Siksika on Feb. 26, 2019. Muhammad Yaseen defeated Devin Green, Tanis Fiss, Paul Frank, and Jun Lin, to secure the United Conservative Party nomination in Calgary-North. Yaseen if a former president of the Pakistan Canada Association of Calgary and former president of the Calgary-Northern Hills Progressive Conservative association. Nathan Neudorf defeated Robin James, Bryan Litchfield, Kimberly Lyall and Angela Zuba to win the UCP nomination in Lethbridge-East. Neudorf re-entered the UCP nomination contest in this district in December 2018 after dropping out to run for the UCP nomination in the Livingstone-Macleod district located west of Lethbridge, but was unsuccessful in that contest. He was endorsed by Roger Reid, UCP Candidate for Livingstone-Macleod, and local Conservative MP Rachael Harder. Rajesh Arora is seeking the UCP nomination in Edmonton-Ellerslie. The party has also finally opened the nomination process in the Red Deer-South district. Cam Khan has been nominated as the Freedom Conservative Party candidate in Calgary-North West, where he unsuccessfully mounted a campaign for the UCP nomination in August 2018 but was defeated by nominee Sonya Savage. Following the UCP nomination contest, he ran for a position on the Alberta Party board of directors at that party’s 2018 annual general meeting. He also ran for Calgary City Council in the 2017 municipal election. The FCP also nominated Matthew Morrisey in Airdrie-Cochrane and Malcolm Stinson in Fort Saskatchewan-Vegreville. Rork Hillford is seeking the Liberal Party nomination in Calgary-Glenmore. Carl Svoboda is seeking the Green Party nomination in Calgary-Edgemont. 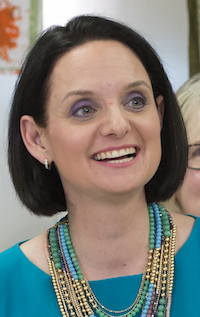 Svoboda previously ran in Calgary-Varsity as the Evergreen Party candidate in the 2012 election and the Green Party candidate in the 2015 election. The candidate selection deadline is Feb. 13, 2019. The right-wing Alberta Advantage Party has nominated Chris Poplatek in Edmonton-Highlands-Norwood, Gordon Perrot in Edmonton-McClung, Donald Petruka in St. Albert, and Donald Melanson in Strathcona-Sherwood Park. This entry was posted in Alberta Politics and tagged Airdrie-Cochrane, Alberta Advantage Party, Alberta Election 2019, Alberta Election Candidate Nominations, Alberta Liberal Party, Alberta Library Trustees Association, Alberta NDP, Alberta Party, Angela Zuba, Blaine Calkins, Braham Luddu, Bryan Litchfield, Calgary-Cross, Calgary-Edgemont, Calgary-Glenmore, Calgary-Lougheed, Calgary-North, Calgary-North West, Calgary-Northern Hills, Calgary-Varsity, Calgary-West, Cam Khan, Candidate nominations, Cardston-Siksika, Carl Svoboda, Chris Poplatek, Cypress-Medicine Hat, Debbie Jabbour, Devin Green, Donald Melanson, Donald Petruka, Doug Hart, Edmonton-Ellerslie, Edmonton-Highlands-Norwood, Edmonton-McClung, Edmonton-South West, Eric Rosendahl, Fort Saskatchewan-Vegreville, Gordon Perrot, Green Party of Alberta, Gulshan Akter, John Archer, Jun Lin, Justin Sharpe, Kimberly Lyall, Lacombe-Ponoka, Laura Ross-Giroux, Lethbridge, Lethbridge-East, Lethbridge-West, Livingstone-Macleod, Malcolm Stinson, Matthew Morrisey, Muhammad Yaseen, Nathan Neudorf, Paul Frank, Peace River, Peter Mueller, Ponoka-Rimbey, Rachael Harder, Rachel Timmermans, Rajesh Arora, Red Deer-Lacombe, Red Deer-South, Robin James, Roger Reid, Rork Hillford, Sonya Savage, St. Albert, Strathcona-Sherwood Park, Taber-Warner, Tanis Fiss, United Conservative Party, West Yellowhead, Zac Rhodenizer on February 13, 2019 by Dave Cournoyer. This is not the kind of thing any political party wants to deal with an election call only weeks away. 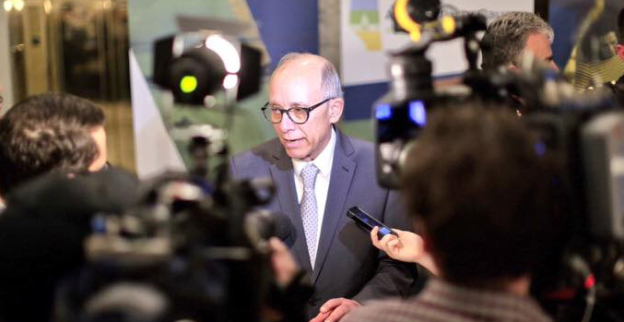 Alberta Party leader Stephen Mandel and five of the party’s candidates and their chief financial officers have been deemed ineligible to run as candidates or serve as CFOs in the 2019 election. The decision from Elections Alberta includes a 5-year ban from seeking provincial political office or serving in a CFO role. The decision impacts Mandel, who was nominated in Edmonton-McClung, Rachel Timmermans in Calgary-Lougheed, Ali Haymour in Edmonton-Decore, Diana Ly in Edmonton-Gold Bar, Amrit Matharu in Edmonton-Meadows, and Moe Rahall in Edmonton-Castle Downs. Mandel became leader of the centre-right Alberta Party in February 2018. He previously served as Mayor of Edmonton from 2004 to 2013 and as the Progressive Conservative MLA for Edmonton-Whitemud and Minister of Health from 2014 to 2015. The ban also applies to Mandel’s CFO, Brian Heidecker, who previously served as CFO for numerous PC Party candidates and for Doug Griffiths’ campaign during his 2011 bid for that party’s leadership. Sources in the party tell me this decision was a result of missed deadlines or improperly submitted paperwork filed by the candidates and their CFOs with Elections Alberta following their nomination meetings. Section 57 of Alberta’s Election Act allows the Chief Elections Officer to deem an individual as prohibited from being nominated as a provincial election candidate for a period of eight or five years if they fail to file required statements with Elections Alberta. (In September 2017, I wrote about some other past candidates who were included in this list). The party’s lawyers are planning to challenge the Elections Alberta decision at the Court of Queen’s Bench. If the court overturns the Elections Alberta decision, this is still a pretty embarrassing situation. But if the court does not overturn the ban, the Alberta Party may be scrambling to find a new leader with only a few weeks before an election call. Also recently included on the list is the New Democratic Party‘s Director of Operations Will Gammon, who serves as Chief Financial Officer for 9 of the party’s nominated or soon-to-be nominated candidates and 18 of the party’s registered constituency associations. Gammon’s appearance on the list appears to a result of his role a CFO for Innisfail-Sylvan Lake by-election candidate Nicole Mooney, who is also now ineligible to run as a candidate for the next 5 years. Former PC Party MLA Steve Young, who was unsuccessful in his bid to win the United Conservative Party nomination in Edmonton-Glenora, and Shaun Collicott, who lost a bid for the UCP nomination in Edmonton-Rutherford, are also on the banned list. This entry was posted in Alberta Politics and tagged Alberta Election 2019, Alberta Election Candidate Nominations, Alberta NDP, Alberta Party, Ali Haymour, Amrit Matharu, Brian Heidecker, Calgary-Lougheed, Court of Queen’s Bench, Diana Ly, Doug Griffiths, Edmonton-Castle Downs, Edmonton-Decore, Edmonton-Glenora, Edmonton-Gold Bar, Edmonton-McClung, Edmonton-Meadows, Edmonton-Rutherford, Edmonton-Whitemud, Innisfail-Sylvan Lake, Innisfail-Sylvan Lake by-election, Moe Rahall, Nicole Mooney, Rachel Timmermans, Shaun Collicott, Stephen Mandel, Steve Young, United Conservative Party, Will Gammon on February 9, 2019 by Dave Cournoyer. 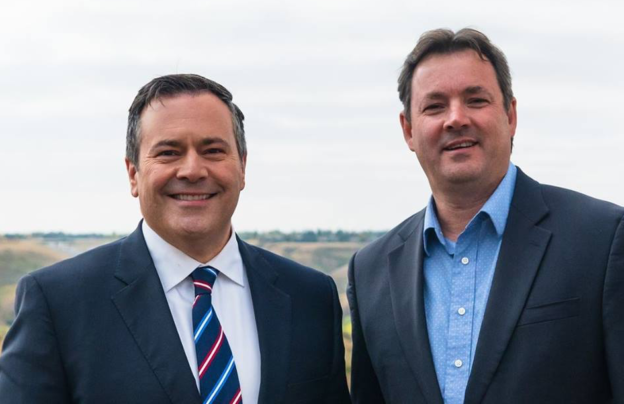 When I first heard about the controversy swelling around United Conservative Party leader Jason Kenney‘s former domestic arrangements, I was very reluctant to write about or event comment on the issue. It even took me a few days to be convinced that it might be more than just the political pot-shot of the week. Kenney’s past domestic arrangements ballooned into a big political issue this week when it was revealed that, for a period of time while serving in Ottawa, the former seven-term MP and senior cabinet minister designated the basement of his parents home in a Calgary retirement community as his primary residence. During his time in Ottawa from 1997 to 2016, Kenney appears to have always designated his primary residence in Calgary, which is to be expected even if he did not spend much time in the city during his time as a senior cabinet minister. This is probably not uncommon for a lot of MPs or cabinet ministers. But it did mean he was eligible for a $900 per month subsidy to pay for the cost of his secondary residence in Ottawa. There is no hard evidence that Kenney actual broke any House of Commons rules – rules written by MPs for MPs – but his decision to declare his primary residence as the basement of his parents house in a Calgary retirement community is… very unusual, to say the least. Add to the controversy that a former staff member of the retirement community has told various media outlets that this type of basement lease arrangement is not allowed under the retirement community’s own rules. Then there is also the related issue of Kenney donating $399.00 to the Ontario Progressive Conservative Party while his primary residence was in Alberta, an act he was prohibited from doing unless he was a resident of Ontario. The controversy and its related spin-off stories are fairly wonkish. David Climenhaga did an excellent job dissecting the details of Kenney’s housing arrangements and how MPs determine where to designate their primary residence. The only reason Albertans are talking about this controversy, and why I am writing about it, is Ottawa-based lawyer Kyle Morrow, who for the past few months has been sharing a treasure-trove of research and political criticisms of Kenney on social media. Morrow is originally from Alberta and was the Liberal Party candidate in Lacombe-Ponoka in the 2012 provincial election. But from his political perch in Ottawa, Morrow has been researching and tweeting all sorts of tidbits and information about Kenney from his 19 years as an Ottawa politician. 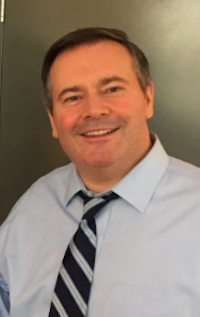 The UCP and the usual cast of characters, including Postmedia columnists Licia Corbella and Rick Bell, quickly leapt to Kenney’s defence, claiming that this was an unfair personal attack by Morrow against Kenney and his elderly mother, and dismissing anyone who attacks the party leader as a victim of Kenney Derangement Syndrome. The furious response by the UCP leads me to believe that Morrow hit a very sensitive nerve by raising this issue. Despite it already being part of Kenney’s public record from his time in Ottawa, the party clearly did not like it being talked about at all. But the tone and volume of their response has only drawn more attention to the issue. All this political ruckus does raise the question about what a young Jason Kenney, who burst onto Alberta’s political scene in the early 1990s in the form of an aggressive anti-tax crusader, would have to say about the unusual living arrangements of his senior self. There is more than a little bit of irony that Kenney made a name for himself at the start of his political career as a fierce critic of Progressive Conservative excess, including PC MLAs who were themselves twisted in knots over their own housing expense scandal before the 1993 election. This is not the first time Kenney has faced controversy over his MP expenses. In 2001, he was criticized for spending $121,000 on taxpayer funded flights for MPs, in part, to allegedly campaign for Stockwell Day‘s bid to retain the leadership of the Canadian Alliance. But like that controversy, I doubt this will damage Kenney’s electoral prospects to any significant extent. Kenney’s UCP is sitting with a mighty comfortable lead over the NDP in every public poll that has been released in the past year and the party raised a whopping $3,922,950.21 in the final four months of 2018. And it is possible that Kenney’s critics have jumped the shark. The fairly wonkish details that surround Kenney’s unusual housing arrangements make it difficult to explain in easy and short soundbites and will likely be lost on most Alberta voters. 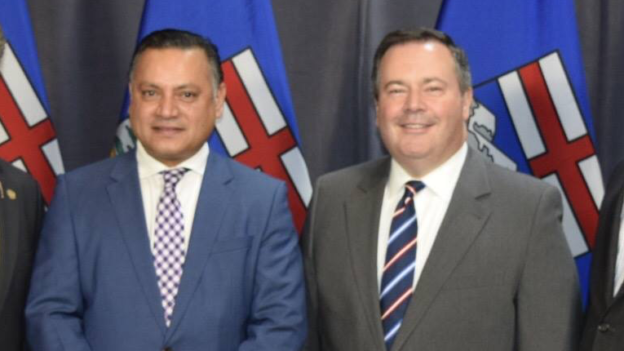 Some political watchers have expressed the opinion that it could be seen as a witch-hunt gone too far and an issue that allows Kenney to highlight his relationship with his family, which is not a side we have seen since the career politician jumped back into provincial politics in 2017. While this story did not originate from the New Democratic Party, it does fit with the hit-a-week the governing party has been launching at Kenney for more than the past year. And while there is hope among the NDP that the growing number of controversies will develop into a narrative around Kenney and the UCP, none of the individual controversies, even ones that are easier to explain, appear to be hitting the intended target. This entry was posted in Alberta Politics and tagged Alberta Election 2019, Alberta Liberal Party, Alberta NDP, Alberta PC Party, Calgary-Lougheed, Canadian Alliance, Canadian Taxpayers Federation, David Climenhaga, Jason Kenney, Kenney Derangement Syndrome, Kyle Morrow, Lacombe-Ponoka, Licia Corbella, Postmedia, Rick Bell, Stockwell Day, United Conservative Party on January 23, 2019 by Dave Cournoyer. With more than 2,100 votes cast in two rounds of voting, we are proud to announce the results of the Daveberta Best of Alberta Politics 2018 Survey. Over the past two weeks, more than 2,100 readers of this website and listeners of the Daveberta Podcast submitted their choices for the survey and voted for the top submissions in each category. For a second year in a row, Rachel Notley was vote Best Alberta MLA. Notley earned 50.7% of the total votes cast, placing her ahead of Leduc-Beaumont NDP MLA Shaye Anderson, with 25.5 percent, and Calgary-Elbow Alberta Party MLA Greg Clark, with 23.7 percent. In a four-way contest, Shaye Anderson edged ahead with 31.8 percent. Health Minister and Deputy Premier Sarah Hoffman earned 26.4 percent, Children’s Services Minister Danielle Larivee earned 21.5 percent, and Education Minister David Eggen, last year’s winner, earned 20.1 percent of the total votes cast. For a second year in a row, Greg Clark has been voted Alberta’s Best Opposition MLA. With 54.1 percent of the vote, Clark placed ahead of Freedom Conservative Party leader and Strathmore-BrooksMLA Derek Fildebrandt, with 34.4 percent, and United Conservative Party leader and Calgary-Lougheed MLA Jason Kenney, with 11.4 percent. Jessica Littlewood, the NDP MLA for Fort Saskatchewan-Vegreville, won with category with 42.3 percent of the vote. Littlewood beat out last year’s winner, Edmonton-Centre NDP MLA David Shepherd, with 37.1 percent, and Fort McMurray-Conklin UCP MLA Laila Goodridge with 20.5 percent. This was a new category we introduced this year to recognize some of the new candidates running in next year’s expected provincial general election. Janis Irwin, the NDP candidate in Edmonton-Highlands Norwood, won in this category with 45.9 percent of the vote. Irwin was followed by Calgary-Elbow NDP candidate Janet Eremenko with 29.6 percent and Calgary-Varsity NDP candidate Anne McGrath with 24.4 percent. Congratulations to the winners and thank you to everyone who submitted your choices and who voted in this year’s Best of Alberta Politics 2018 Survey. Tune in on December 24, 2018 for a special episode of the Daveberta Podcast where we answer questions we have collected from listeners over the past few weeks. Listen and subscribe on Apple Podcasts, Google Play, or wherever you find podcasts online. We’d love to hear what you think of the Daveberta Podcast, so feel free to leave a positive review and share the podcast with your friends and family. Also feel free to leave a comment on this blog, Facebook or Twitter or send us an email at podcast@daveberta.ca. This entry was posted in Alberta Politics and tagged Alberta Election 2019, Alberta NDP, Anne McGrath, Best of Alberta Politics 2018, Calgary-Elbow, Calgary-Lougheed, Calgary-Varsity, Danielle Larivee, Daveberta Podcast, David Eggen, David Shepherd, Derek Fildebrandt, Edmonton-Calder, Edmonton-Centre, Edmonton-Glenora, Edmonton-Highlands-Norwood, Edmonton-Strathcona, Fort McMurray-Conklin, Fort Saskatchewan-Vegreville, Freedom Conservative Party of Alberta, Greg Clark, Janet Eremenko, Janis Irwin, Jason Kenney, Jessica Littlewood, Laila Goodridge, Leduc-Beaumont, Lesser Slave Lake, Rachel Notley, Sarah Hoffman, Shaye Anderson, Strathmore-Brooks, United Conservative Party on December 20, 2018 by Dave Cournoyer. 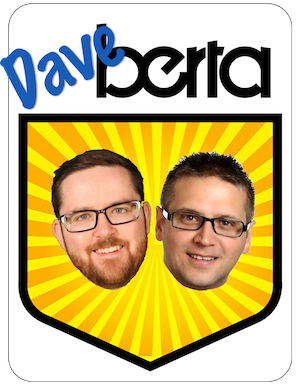 In our most recent episode of The Daveberta Podcast, Dave and Ryan asked you to vote in the Best of Alberta Politics 2018 Survey. More than 500 of you responded to the survey over the last week with your choices for the biggest political players and defining political issues of 2018. We tallied all the responses from that survey and we are now asking you to vote on the top 3 choices in each category. The top three choices in each category are now open for you to vote on until 12:00 p.m. on Wednesday, December 19, 2018 and the winners will be announced on Thursday, December 20, 2018. An honourable mention to Danielle Larivee, NDP MLA for Lesser Slave Lake, and Jason Kenney, UCP leader and MLA for Calgary-Lougheed, who placed a strong fourth and fifth in total submissions. Notley was last year’s winner in this category. Ministers David Eggen and Danielle Larivee were tied for third place, so they are both included in the voting round in this category. Eggen was last year’s winner in this category. Honourable mentions to Richard Starke, the Independent PC MLA for Vermilion-Lloydminster, and David Swann, the Liberal MLA for Calgary-Mountain View, who placed a strong fourth and fifth place. Clark was last year’s winner in this category. An honourable mention to Nathan Cooper, UCP MLA for Olds-Didsbury-Three Hills, who placed a strong fourth in the first round of voting. Shepherd was last year’s winner in this category. Not surprisingly, pipelines, oil, and the economy were by far the biggest political issue identified in this survey. More than 85 percent of you chose these as the biggest political issue in 2018 in Alberta. This category was a dog’s breakfast. Around 90 percent of the submissions were related in some way to pipelines and the oil industry, but most were difficult to group. Around 30 percent of you chose Premier Notley’s decision to curtail the production of oil as the Best Political Play of 2018, which was the clearest single choice in this category. The wide variety of submissions makes it difficult to choose any top three choices for this round of voting, so I am calling it a draw. Photo: Greg Clark, Sarah Hoffman, Laila Goodridge, and Shaye Anderson. This entry was posted in Alberta Politics and tagged Alberta Election 2019, Anne McGrath, Best of Alberta Politics 2018, Calgary-Elbow, Calgary-Lougheed, Calgary-Varsity, Danielle Larivee, David Eggen, David Shepherd, David Swann, Derek Fildebrandt, Edmonton-Centre, Edmonton-Highlands-Norwood, Edmonton-Strathcona, Fort McMurray-Conklin, Fort Saskatchewan-Vegreville, Greg Clark, Janet Eremenko, Janis Irwin, Jason Kenney, Jessica Littlewood, Laila Goodridge, Leduc-Beaumont, Nathan Cooper, Rachel Notley, Richard Starke, Sarah Hoffman, Shaye Anderson, Strathmore-Brooks on December 13, 2018 by Dave Cournoyer. New Democratic Party MLA Rod Loyola secured his party’s nomination in Edmonton-Ellerslie on August 28, 2018. Loyola was first elected in 2015, earned 61.5 percent of the vote in this suburban southeast Edmonton district. Loyola currently serves as the chair of the Standing Committee on Resource Stewardship. Before to his election in 2015, Loyola was the president of the University of Alberta Non-Academic Staff Association. In Drayton Valley-Devon, MLA Mark Smith defeated challenger Andrew Boitchenko in a vote held for the United Conservative Party nomination on August 29, 2018. Smith was first elected in 2015, earning 37 percent of the vote and unseating Progressive Conservative cabinet minister and former Drayton Valley mayor Diana McQueen, who earned 30 percent of the vote. 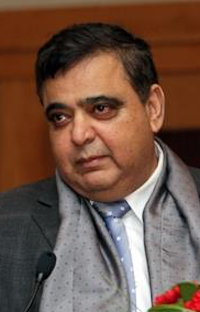 Long-time Calgary Conservative Member of Parliament Deepak Obhrai inserted himself into a contentious UCP nomination race this week. Obhrai held a press conference in his Calgary-Forest Lawn constituency office with local radio and TV host Kumar Sharma, who alleges he was threatened and then physically assaulted by a gang of men after publishing a Facebook post that referenced UCP nomination candidate Happy Mann. 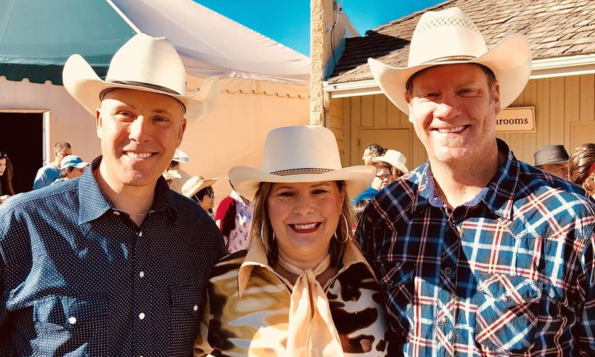 Mann is a two-time Wildrose Party candidate who is now seeking the UCP nomination in the new Calgary-Falconridge district in northeast Calgary. In a statement sent to various media companies, Mann denied any connection to the alleged incident and maintained that the accusations were politically motivated. Also seeking the UCP nomination in Calgary-Falconridge are realtor Pete de Jong, former Chesteremere city councillor Christopher Steeves, and past Wildrose Party candidate Devinder Toor. Deepak Sharma has been nominated as the Liberal Party candidate in this district. Calgary-Foothills – Jennifer Wyness has been nominated as the Alberta Party candidate in this northwest Calgary district. Wyness placed second in the Ward 2 contest in Calgary’s 2017 municipal election, finishing with 36 percent to incumbent councillor Joe Magliocca‘s 49 percent. Calgary-Lougheed – Mount Royal University policy studies student Rachel Timmermans is seeking the Alberta Party nomination in this southeast Calgary district. If nominatied, Timmermans will face UCP leader Jason Kenney in the 2019 election. Calgary-Mountain View – Becca Polak is seeking the UCP nomination in this district. 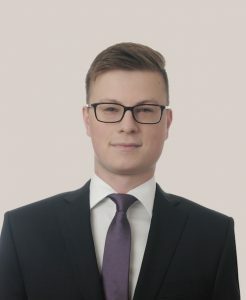 Polak is the former Vice-President of Communications for the Wildrose Party and served as a member of the UCP interim board from 2017 to 2018. 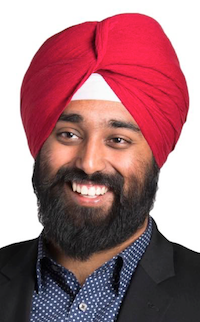 Calgary-North – Manpreet Sidhu is the sixth candidate to join the UCP nomination in this new north Calgary district. Edmonton-Highlands-Norwood – Brian Gratrix seeking the Alberta Party nomination. Also running for the Alberta Party nomination in this district is past city council candidate Tish Prouse. Edmonton-Manning – Harinder Grewal is the latest candidate to join the UCP nomination contest in this district. Livingstone-Macleod – Dylin Hauser has been nominated as the Liberal Party candidate, Tim Meech has been nominated as the Alberta Party candidate, and Thomas Schneider has joined the UCP nomination contest. Schnieder is a former Area Sales Representative with the Canadian Taxpayers Federation. This entry was posted in Alberta Politics and tagged Alberta Election 2019, Alberta Election Candidate Nominations, Alberta Liberal Party, Alberta NDP, Alberta Party, Andrew Boitchenko, Becca Polak, Brian Gratrix, Calgary Forest Lawn, Calgary-Falconridge, Calgary-Foothills, Calgary-Lougheed, Calgary-Mountain View, Calgary-North, Christopher Steeves, Deepak Obhrai, Deepak Sharma, Devinder Toor, Diana McQueen, Drayton Valley-Devon, Dylin Hauser, Edmonton-Ellerslie, Edmonton-Gold Bar, Edmonton-Highlands-Norwood, Edmonton-Manning, Happy Mann, Harinder Grewal, Jason Kenney, Jennifer Wyness, Joe Magliocca, Kumar Sharma, Livingstone-Macleod, Manpreet Sidhu, Mark Smith, Marlin Schmidt, Pete de Jong, Rachel Timmermans, Rod Loyola, Thomas Schneider, Tim Meech, Tish Prouse, United Conservative Party, University of Alberta Non-Academic Staff Association on August 30, 2018 by Dave Cournoyer. Sixth MLA leaves the UCP. Prab Gill resigns from caucus following ballot-stuffing investigation. The polls suggest the United Conservative Party is poised to form government in 2019, but how united the caucus actually is remains questionable. Calgary-Greenway UCP MLA Prab Gill issued a statement yesterday announcing that he has left the UCP caucus to sit as an Independent MLA following the conclusion of an investigation into allegations of ballot-stuffing and ballot-snatching at a party meeting in the new Calgary-North East district on June 30, 2018. Gill had already resigned as UCP caucus deputy whip on July 11, 2018, and with his departure from the UCP caucus he leaves his roles as Official Opposition critic for seniors, housing and multiculturalism. He had been planning to challenge Anand Chetty and Tariq Khan for the UCP nomination in Calgary-North East. The allegations of ballot-stuffing and ballot-snatching originally stemmed from a YouTube video posted by a disgruntled UCP member who attended the June 30 meeting. Following the circulation of the video, UCP leader Jason Kenney announced he had asked retired judge and former Progressive Conservative Party president Ted Carruthers to investigate the allegations. Carruthers served as president of the PC Party from 1992 to 1994 and oversaw the party’s 1992 leadership contest, which he at the time described as “the greatest exercise in democracy ever seen in our province.” He was appointed as an Alberta Family and Youth Court Judge in 1996 by then-Justice Minster Brian Evans. Carruthers’ report and its contents, which prompted Gill’s departure from the UCP caucus, has not been made public. 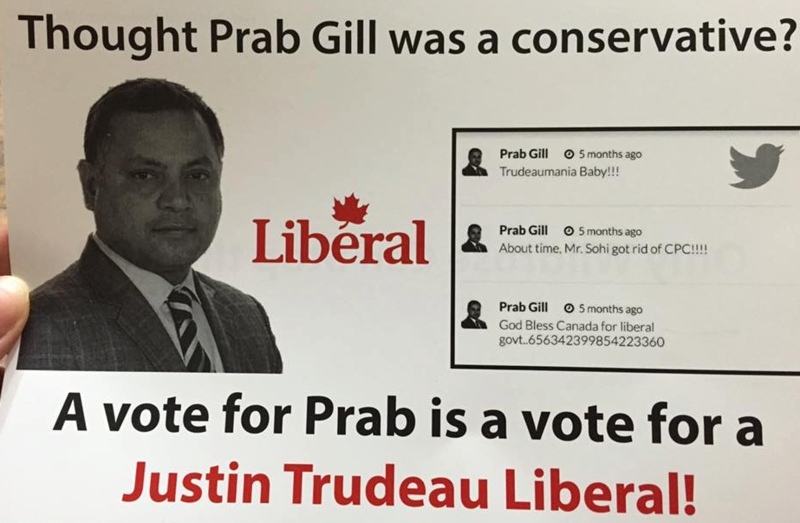 A Wildrose Party flyer attacking PC candidate Prab Gill for being a “Justin Trudeau Liberal.” Mr. Gill was elected on March 22, 2016. Gill was first elected as the PC MLA for Calgary-Greenway in a 2016 by-election following the death of PC MLA Manmeet Bhullar. Gill was first appointed as the PC Party candidate but a backlash from party members led to the party allowing a contested nomination, which he then won. In the by-election, he narrowly defeated his main opponent, Wildroser Devinder Toor, by 335 votes and faced harsh criticism from the Wildrose Party for his support of Justin Trudeau’s Liberals in the October 2015 federal election. Gill’s predecessor in Calgary-Greenway, Bhullar, was appointed Premier Ed Stelmach as the PC Party’s candidate in the former Calgary-Montrose district in 2008 following a very public legal battle between the PC Party and its local volunteers in the district. The PC Party won the court battle. The loss of this MLA, along with a recent nasty nomination contest in Chestermere-Strathmore, suggests that despite the party name change the UCP may have the inherited the culture of nasty internal power struggles similar to the ones that mired the old PC Party before the 2015 election. Prab Gill is the sixth MLA to leave the United Conservative Party caucus since it was formed on July 24, 2017. 1. Strathmore-Brooks MLA Derek Fildebrandt left the UCP caucus on August 15, 2017 after he was charged with hunting and shooting a deer on private property without permission. He currently sits as an Independent Conservative MLA in the Assembly. 2. Calgary-South East MLA Rick Fraser left the UCP caucus to sit as an Independent MLA on September 12, 2017. He joined the Alberta Party caucus on January 9, 2018 and ran for that party’s leadership. 3. Dave Rodney resigned as MLA for Calgary-Lougheed on November 1, 2017 in order to trigger a by-election to allow Kenney to enter the Legislative Assembly. Rodney was first elected as a PC MLA in 2004. 4. Don MacIntyre resigned as MLA for Innisfail-Sylvan Lake on Feb. 2, 2018 after being charged with sexual assault and sexual interference. McIntyre was the UCP’s critic for Energy and a member of the UCP Rural Crime Task Force. 5. Brian Jean resigned as MLA for Fort McMurray-Conklin on March 5, 2018 in the months following his defeat in the UCP leadership contest. 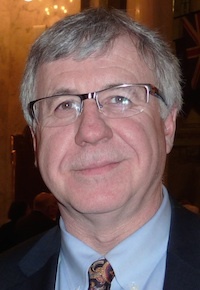 Jean had led the Wildrose Party from 2015 to 2017. This entry was posted in Alberta Politics and tagged Alberta Party, Alberta PC Party, Anand Chetty, Brian Evans, Brian Jean, Calgary-Greenway, Calgary-Lougheed, Calgary-Montrose, Calgary-North East, Calgary-South East, Chestermere-Strathmore, Dave Rodney, Derek Fildebrandt, Devinder Toor, Don MacIntyre, Ed Stelmach, Fort McMurray-Conklin, https://en.wikipedia.org/wiki/Ed_Stelmach, Innisfail-Sylvan Lake, Jason Kenney, Justin Trudeau, Manmeet Bhullar, Prab Gill, Rick Fraser, Strathmore-Brooks, Tariq Khan, Ted Carruthers, United Conservative Party, Wildrose Party on July 15, 2018 by Dave Cournoyer. Elections Alberta has released the initial campaign finance reports from political parties during the Calgary-Lougheed by-election held on December 14, 2017. Due to a strange quirk in Alberta’s election finance laws, all or most donations collected by political parties during the official by-election period between November 16, 2017 and February 14, 2018 were not reported in the regular quarterly financial reports. Those donations are instead included in this by-election report. The report showed the Alberta NDP raising $885,206.29 in donations during this three month period, which would include the party’s aggressive year-end fundraising appeal. When combined with the quarterly reports, this means the NDP fundraised more than $1.5 million in the period covering the final quarter of 2017 and first quarter of 2018. The Alberta Liberal Party reported raising $79,083.09, the Reform Party reported raising $8,500, and the Green Party reported raising $8,580.00 during the by-election period. The United Conservative Party did not file a report before the Election Alberta deadline. The Alberta Party did not file a report because they did not participate in the Calgary-Lougheed by-election. UCP leader Jason Kenney won the by-election with a landslide 71 percent, ahead of New Democrat Phillip van der Merwe with 16 percent and Liberal leader David Khan with 9 percent. Recent legislation passed by the Legislative Assembly reduces the length of the confusing by-election financial reporting period which these donations fell under. Introduced by Minister Responsible for Democratic Renewal Christina Gray, Bill 16: Election Finances and Contributions Disclosure Statutes Amendment Act shortened the by-election financial reporting period from the day the writ is issued to begin the by-election until it ends on voting day. It is my understanding that the three-month long by-election financial reporting period is a hold-over from when the old Progressive Conservative regime increased maximum donation limits from $15,000 to $30,000 for individuals, corporations or unions during the writ period. The NDP banned corporate and union donations in 2015 and have since lowered the maximum annual donation limit to $4,000. The Western Freedom Party has been renamed the Freedom Conservative Party, according to Elections Alberta. The party was originally formed as the Alberta First Party in 1999, renamed the Separation Party in 2004 and again renamed the Alberta First Party in 2013. It was renamed the Western Freedom Party in April 2018 and again renamed the Freedom Conservative Party in June 2018. It is not yet known what this fringe party will be named in 2019, but stay tuned. This entry was posted in Alberta Politics and tagged Aga Khan, Alan Ernst, Alberta First Party, Alberta Liberal Party, Alberta NDP, Aletha Crowe, Allan Wood, Bart MacLean, Bill 16: Election Finances and Contributions Disclosure Statutes Amendment Act, Bob Lefurgey, Brune Sinneave, Calgary-Lougheed, Calgary-Lougheed by-election, Christina Gray, Cody Sater, Dan Hays, David Khan, Don Smith, Freedom Conservative Party of Alberta, George Soros, Green Party of Alberta, Jason Kenney, Jill Browne, K Shugarman, Kathleen Thorsteinson, LEAP Manifesto, Phillip van der Merwe, Randy Thorsteinson, Reform Party of Alberta, Renee Katz, Richard Willott, Separation Party of Alberta, Western Freedom Party, World Bank on July 3, 2018 by Dave Cournoyer. Calgary-Cross – Farhan Baig is seeking the United Conservative Party nomination. Calgary-Edgemont – Joanne Gui is seeking the Alberta Party nomination. She will be challenging Beth Barberree in this district, making this the first contested nomination for the Alberta Party (perhaps ever). Calgary-Klein – Kara Levis is seeking the Alberta Party nomination. 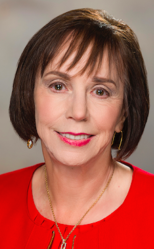 Levis was a candidate for the party’s leadership earlier this year and is the President of the National Women’s Liberal Commission of the federal Liberal Party. 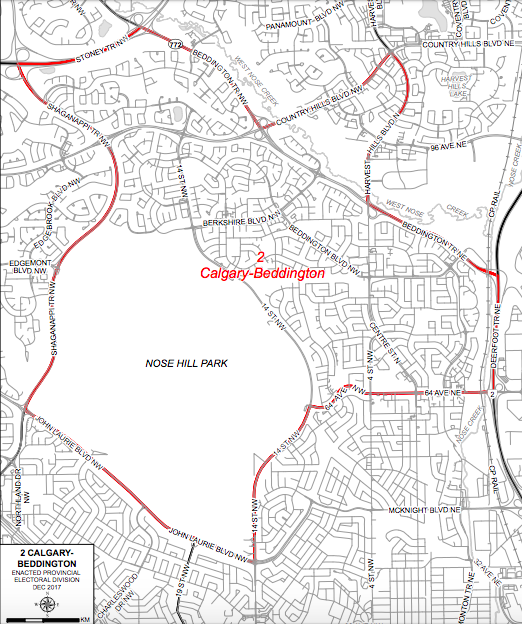 Calgary-North East – Gul Khan is seeking the Liberal Party nomination in this new district in north east Calgary. Calgary-Shaw – Rebecca Schulz is seeking the UCP nomination. Schulz is the director of marketing and communications at the University of Calgary and until 2016 was the director of communications for the Saskatchewan Ministry of Education. Edmonton-Decore – Ali Haymour is seeking the Alberta Party nomination in this north Edmonton district. Haymour recently ran for Edmonton City Council in 2017 and was the New Democratic Party candidate in Edmonton-Castle Downs in 2008 and Edmonton-Decroe in 2012. Edmonton-Meadows – Arundeep Sandhu is seeking the UCP nomination. Sandhu was one of 32 candidates to run in 2016 by-election for Edmonton City Council’s Ward 12. He was vice-president of organization for the Progressive Conservative Party until late 2015. He currently serves on the board of directors of the Edmonton Heritage Council. The NDP has scheduled nomination contests in Edmonton-City Centre on June 5, 2018, Lethbridge-West on June 11, 2018, Calgary-Buffalo and Calgary-McCall on June 12, 2018, and Drayton Valley-Devon on June 23, 2018. The UCP has announced deadlines to enter nomination contests by May 30, 2018 in Airdrie East, Calgary-Lougheed, Calgary-West, Taber-Warner, and Rimbey-Rocky Moutain House-Sundre. A June 4, 2018 entry deadline has been set in Strathcona-Sherwood Park, Fort Saskatchewan-Vegreville, Cardston-Siksika, Calgary-Hays, Calgary-Edgemont, and Olds-Didsbury-Three Hills. And a June 11, 2018 deadline has been set for Cypress-Medicine Hat. It is expected that UCP MLA Angela Pitt could face several challengers, including Calgary Sportsnet commentator Roger Millions, in her bid for her party’s nomination in the new Airdrie-East district. The Alberta Party has scheduled nomination meetings in the following districts: Edmonton-South on June 24, 2018, Bonnyville-Cold Lake-St. Paul on June 25, 2018, Edmonton-Glenora on June 25 2018, Edmonton-Ellerslie on June 25, 2018, Edmonton-Whitemud on June 26, 2018, Calgary-Klein on June 27 2018, Calgary-North East on June 29, 2018, Sherwood Park on July 8, 2018, and Edmonton-Rutherford on September 10, 2018. CBC reports that Edmonton-Rutherford UCP nomination candidate Laine Larson has questioned vaccination science and has suggested parents may be harming their children by vaccinating them against disease. CBC reports that Larson did not respond to interview requests sent by email, voicemail and direct message to both his personal and campaign Facebook accounts. This entry was posted in Alberta Politics and tagged Airdrie-East, Alberta Election 2019, Alberta Election Candidate Nominations, Alberta Liberal Party, Alberta NDP, Alberta Party, Ali Haymour, Angela Pitt, Arundeep Sandhu, Beth Barberree, Bonnyville-Cold Lake-St. Paul, Calgary-Cross, Calgary-Edgemont, Calgary-Hays, Calgary-Klein, Calgary-Lougheed, Calgary-McCall, Calgary-North East, Calgary-Shaw, Calgary-West, Cardston-Siksika, Cypress-Medicine Hat, Drayton Valley-Devon, Edmonton-Decore, Edmonton-Glenora, Edmonton-Meadows, Edmonton-Rutherford, Edmonton-Whitemud, Farhan Baig, Fort Saskatchewan-Vegreville, Gul Khan, Joanne Gui, Kara Levis, Laine Larson, Lethbridge-West, Olds-Didsbury-Three Hills, Rebecca Schulz, Rimbey-Rocky Mountain House-Rimbey, Roger Millions, Sherwood Park, Strathcona-Sherwood Park, Taber-Warner, United Conservative Party, Vaccinations on May 31, 2018 by Dave Cournoyer.